Talking about depression and bipolarity in front of an audience of over 1000 people, many of whom are themselves sufferers is bound to result in awkward moments, which it did. 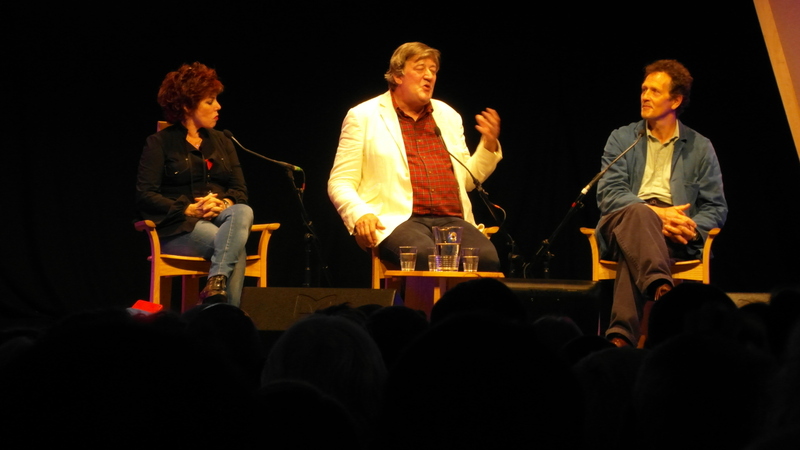 There were moments of hilarity too, with Ruby Wax and Stephen Fry on stage that was also a given. One of the funniest moments was when Fry addressed Monty Don by his surname. “You keep calling me Don” said Monty. “I really don’t mind” replied the affable Monty. There was a rawness about the session. Ruby was adamant that she never experiences mania, though her on screen persona often conveys the energy and charge that characterises many descriptions of the ups of bipolarity. Stephen Fry revealed that he struggles with lows even when working and that many episodes of QI had been recorded whilst fighting the mood disorder. Monty talked about how the rhythms of nature sometimes help with his inner discord.